THIS IS NOT MEANT TO COVER EVERY OOLONG OUT THERE. IF I’VE MISSED ONE, PLEASE NOTE IT IN A COMMENT. 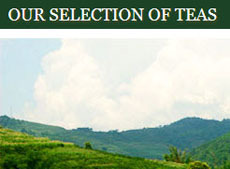 See about the Northern Fujian (Wuyi Rock) Oolongs here. Oolongs from the province of China are divided generally into Northern (Wuyi mountain region) and Southern (Anxi county and nearby areas). The southern part of the province boasts one of the most famous oolongs: Tie Guan Yin. 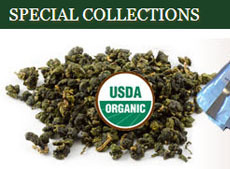 It is generally a roasted oolong with a rich, nutty flavor. But there are a number of others that are lesser known. There are also a number of grades of some of the oolongs. These grades are based on many years of experience in determining the best leaves and the best flavors being drawn out of them during the processing. Bai Ya Qi Lan (“White Sprout Rare Orchid”, 白芽奇兰, 白芽奇蘭) – In various grades such as Bai Ya Qi Lan Oolong traditional green style Superior Grade. Ben Shan (“Source/Original Mountain”, 本山) – The leaves of the tea are elliptical-shaped and yellow green in color. The liquid is orange colored with a light and floral flavor. It has expressive flourish smell and fruity aftertaste. In fact, it is so similar to Tie Guan Yin that many tea drinkers can’t tell them apart, but they are made from two different varietals. Daping Mao Xie (Hairy Crab) – One of Anxi Province’s four famous teas. It features green-tipped oolong nuggets with fine downy hairs that produce a light tawny liquid with a rich flavor, creamy and satisfying. Huang Jin Gui (“Golden Osmanthus”, 黄金桂, 黃金桂) – Regarded as one of the most famous Chinese oolong teas. 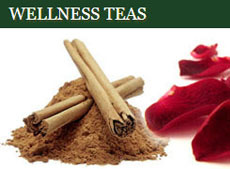 The name comes from the tea’s distinct floral aroma. The leaves are curled and yellow green, and the liquid is golden yellow with a complex flavor profile – mild, brisk, and a long aftertaste. It is roasted using wood charcoal, resulting not only in a deeper, thinner fragrance but also more lasting power for multiple infusions. Tie Guan Yin / Ti Kwan Yin (“Iron Goddess of Mercy”, 铁观音, 鐵觀音) – Autumn Tie Guan Yins are much more sought after than the spring pickings. Has a number of grades such as: Tie Guan Yin modern green style Grade II, Tie Guan Yin modern green style Superior Grade, Tie Guan Yin traditional green style Superior Grade, Tie Guan Yin traditional charcoal roast, Tie Guan Yin traditional charcoal roast Master Grade. Yong Chun Fo Shou (永春佛手, 永春佛手) – In several grades such as: Yongchun Fo Shou (Bergamot) Oolong Superior Grade and Yongchun Fo Shou (Bergamot) Oolong Charcoal Roast. Zhang Ping Shui Xian – A rare Oolong and the only one that is pressed. This tea has been made by five generations of tea masters, is only lightly oxidized, and is composed of large leaves and stems pressed in wooden molds into small squares about 18-19 grams in weight. There are other oolongs from China. We’ll look at these next time. 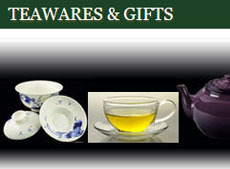 This entry was posted in China, Oolong Teas and tagged chinese oolongs, tie guan yin. Bookmark the permalink. There is one that is pretty unique as at some point was transferred from Fujian to Anxi and is claimed to be a hybrid between blue and red tea. It is confusingly called Black Dragon yet comes under Large Leaf label.